joints. Further, if you're a fair-weather exerciser who lets heat, cold, or rain inhibit your workout, the stationary bike gives you fewer excuses not to exercise. Because it's indoors, you don't have to worry about inclement weather. With the Kettler Golf R ECO Upright Bike 7663-660 you will get one of the most effective exercises to improve stamina, reduce the risk of coronary heart disease and strokes, increase metabolism and generally improve the quality of life for people of all ages. Using the Kettler Golf R ECO Upright Bike 7663-660 is also an excellent aerobic conditioner that helps to build strength, boost endurance, reduce stress and lose weight. Kettler stationary bikes offer all of these benefits without the user having to leaving the comfort and security of the indoors. Use the low-body stress of indoor cycling to round out their fitness programs and give their whole body a complete circulatory and aerobic improvement. Using an exercise bike indoors enables those users to fit an exercise regimen into their schedules' day or night. Kettler is the choice for quality, durable equipment. 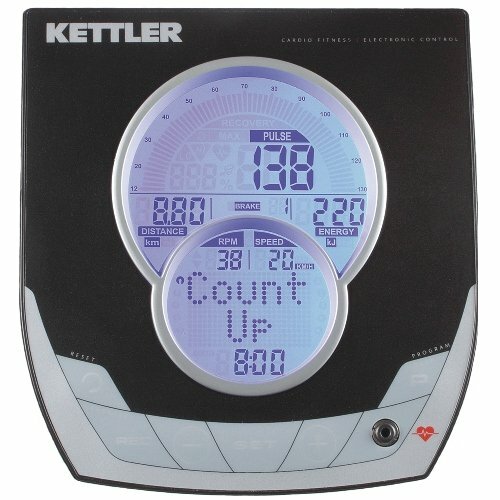 What makes the Kettler Golf P Eco Upright Bike (7663-660) an user friendly cardio trainer? First of all the the bike is fueled by user-energy. Simply place the Golf R ECO in a desired spot, hop on, start peddling and watch it come to life. Don’t worry about batteries or cords either, because the Golf P Eco Upright Bike is low maintenance, making it easier for people to focus on getting into better shape instead. Don’t make the mistake of thinking that because the bike is fueled by user-energy that it isn’t brimming over with contemporary technology and features. First of all the Kettler Golf P Eco Upright Bike (7663-660) has a 3-color back-lit LCD screen with high resolution and adjustable viewing angles to accommodate short and tall users alike. Then there are the 8 different programs to suit many fitness goals and provide thorough feedback, and that's only the beginning. Call 1-800-875-9145 to speak with one of our fitness advisors with any questions you may have. Order your Kettler Golf R ECO Upright Bike 7663-660 from FitnessZone.com today! 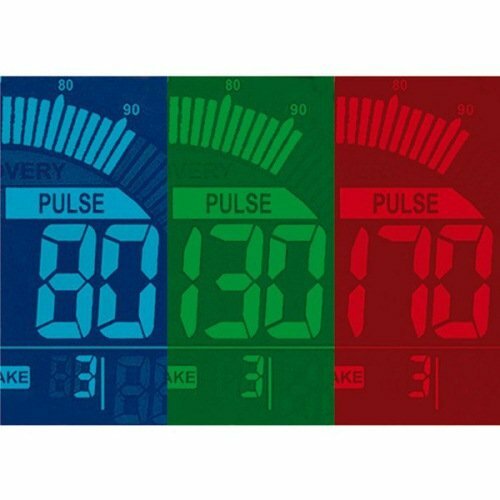 The computer display changes color indicating one's workout is currently below target heart rate zone (blue), at targeted zone ( green) or above targeted zone (red). 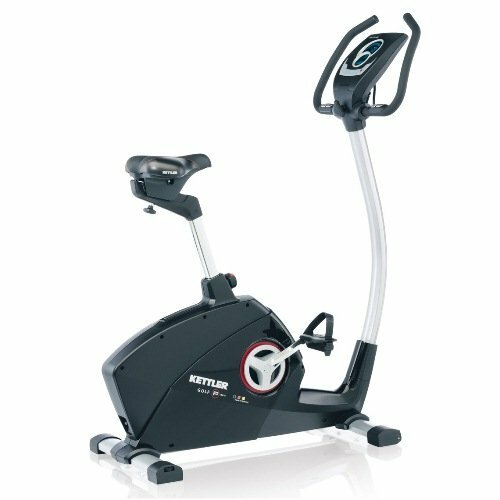 Order your Kettler Golf R ECO Upright Bike 7663-660 from FitnessZone.com today!